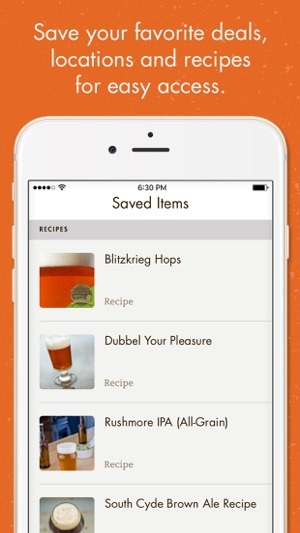 The essential app for beery deals and rock-solid homebrew recipes. Brew Guru® delivers money-saving deals on beer, food and homebrew supplies *AND* serves up the finest homebrew recipes on the planet—including medal winners from the National Homebrew Competition. Download the app today and start a free 30-day trial (no credit card required). The app is yours to keep. 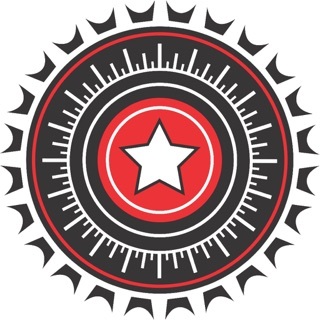 ● Dashboard: Get a glimpse of the freshest content from the American Homebrewers Association and the closest deals from participating breweries, pubs and homebrew supply shops. 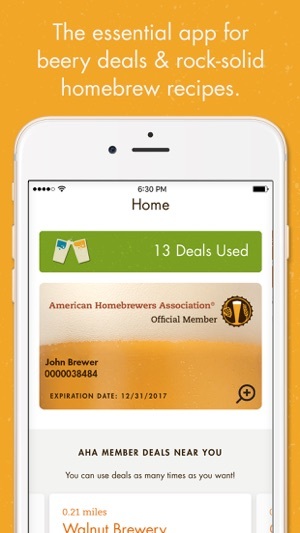 Enjoy fast access to your American Homebrewers Association member card. ● Map: Thirsty? Hungry? Need supplies for your next brew day? 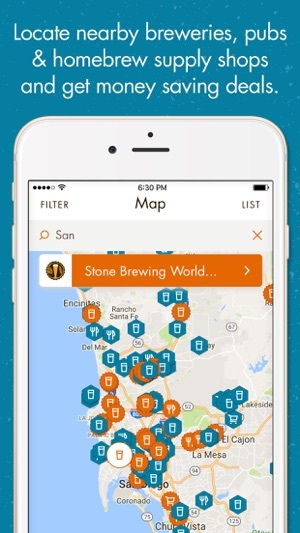 Use the handy locator to find nearby breweries, pubs and brewing supplies, as well as money-saving AHA Member Deals participants. ● Recipes: Make every batch count! Choose from nearly 700 recipes, including 350+ National Homebrew Competition-winning recipes and 80+ craft beer clones. ● Saved deals and recipes: Save your favorite deals, locations and recipes so you can easily find ‘em later! Built by the American Homebrewers Association, a community of more than 46,000 beer lovers nationwide, Brew Guru is your guide to the wonderful world of beer we all share. 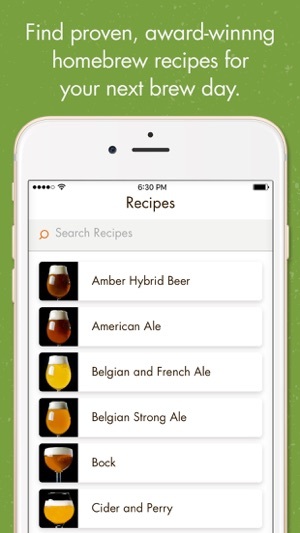 Whether you’re a seasoned zymurgist or budding beer enthusiast, we hope you’ll enjoy our app. Discover deals and rock-solid recipes. Live beerier! Learn more about the makers of Brew Guru at HomebrewersAssociation.org. - Trial Period extended from 15 to 30 days. - Increased performance and stability with significant core platform update. - Removed GeoFencing plugin due to non-support, thus eliminating push notifications for 'member deals near you'. We used to have to carry a ragged, folded up list of establishments that offer AHA member discounts. Not any more! With this app we have the member card, and smooth map functionality that shows us where all the places are, and what they offer. And for any brewery, pub, or homebrew shop that isn't on board yet, use this app to "Nominate" them. I will be very interested to see how the AHA is able to use our input in recruiting new participating purveyors. Researching a beer tour in a new area has never been so easy! For Updates: I'd love to be able to take notes on breweries and beers as well as see more specific info on the individual beer styles. Thanks AHA! Now that they’ve added an extensive recipe database, it’s much better than the original release. One thing I’d love to see is the ability to add my AHA membership. Add to the iPhone Wallet for easier access. This app works when it actually opens! Please fix it to where I can use it soon! Hi - We are rebuilding the app this year. Users will experience a more stable version and one that is compatible with new iPhone X and up. We appreciate your patience! We'll let everyone know when the new version is available.